It was a typical day in March at Humane Society International (HSI) India, and everyone in the office was busy going about their day. At one point, a very sick street dog passed by the office — and for some reason thought it looked like a safe place to hang out for a little while. She decided to check it out, so she quietly wandered in, quickly found a couch, curled up and went right to sleep. It took a little while before anyone even noticed she was there, and just how badly she needed their help. 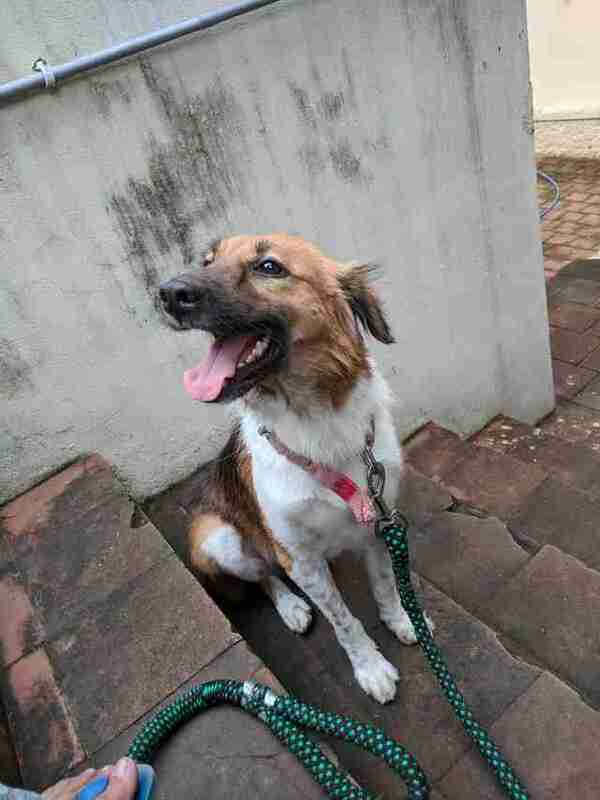 When the people in the office finally noticed the poor dog, later named Fairy, they rushed to get her some food and water, but all the movement and commotion frightened her and she quickly ran away. Everyone was upset that they hadn’t been able to help her — but the next day, at the same time, she came back, and this time, the staffers were prepared. As soon as they spotted Fairy curled up and sleeping on the couch, they secured the front door so she couldn’t run away again. 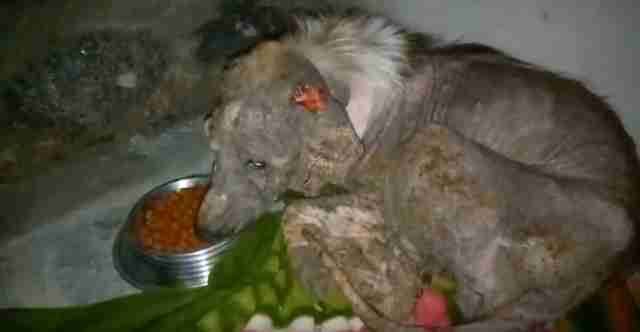 They then immediately got her some much-needed food and water, and prepared to take her to the vet. 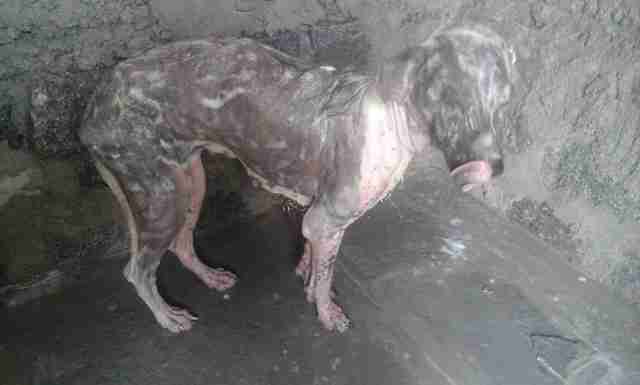 Her mange was incredibly severe, and it looked as though she had been suffering for several months. She had barely any fur on her entire body, besides a little tuft around her neck. Even though she was scared, she obviously knew she needed help, and had somehow sensed that inside the office were people who desperately wanted to help her. 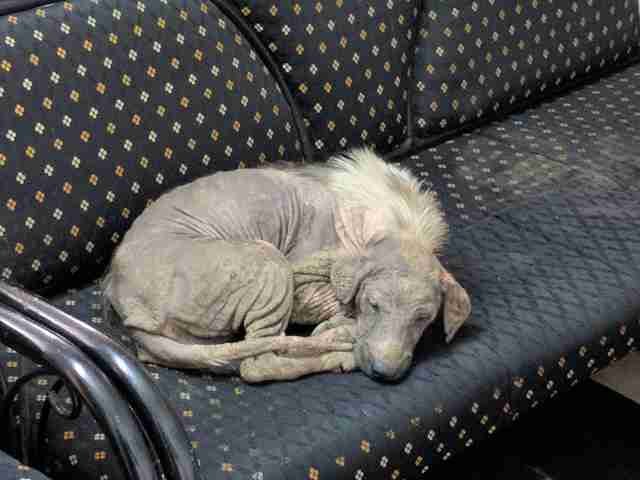 Fairy was taken to the vet and given treatment for her mange immediately. Besides the horrendous condition of her skin, she luckily didn’t have any other issues, and was otherwise in pretty good health. After testing the infection on her skin, it was determined that she’d been suffering for a very long time, and yet somehow, no one had ever tried to help her before. 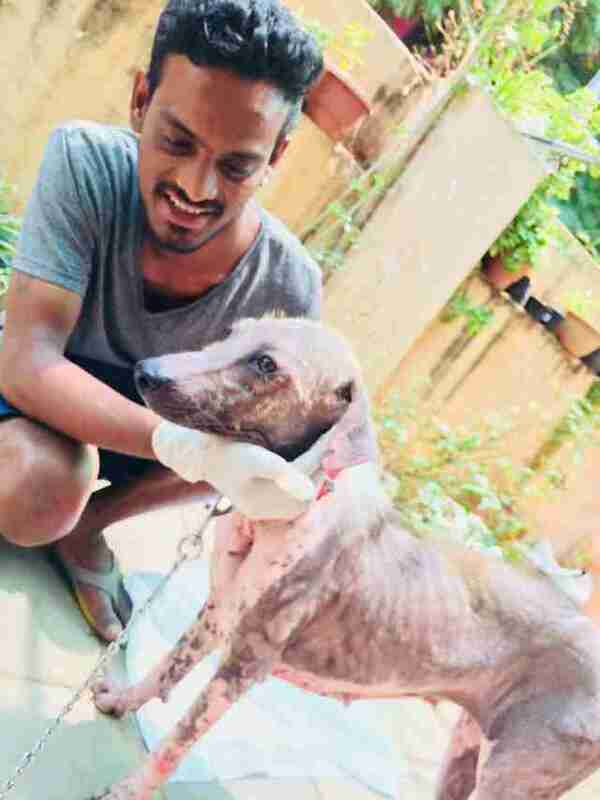 “She had probably been suffering for a couple of months and was shooed away because of the way she looked,” Sengupta said. 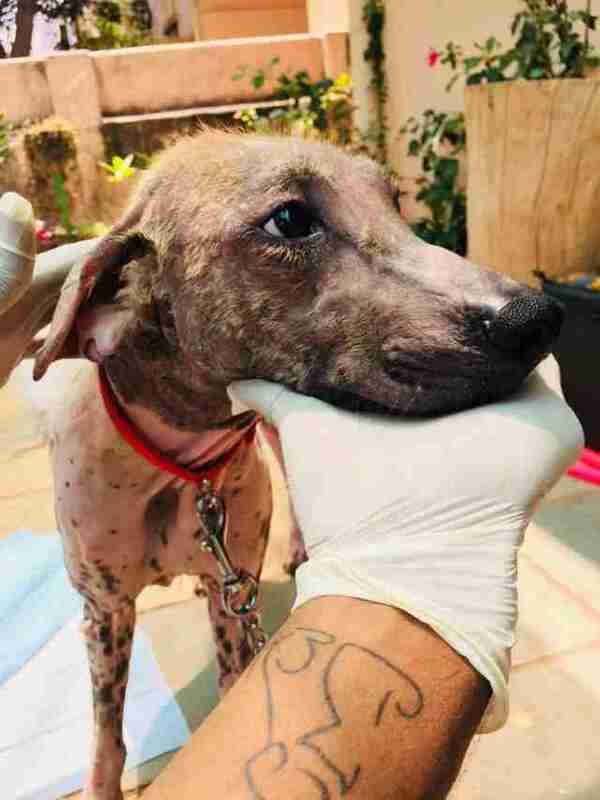 Despite her condition and all the pain she was in, Fairy was a perfect patient from the very beginning. She let everyone at the shelter treat and care for her, and never complained or resisted even a little bit. She just seemed so grateful to have finally found people who were willing to give her love and attention. It took an entire six months for Fairy to make a full recovery. After three months at the shelter, she already had a family interested in adopting her, but her rescuers wanted to wait until she was completely healed before sending her off to her forever home. She was so sweet and loving even from the very beginning, so everyone at the shelter knew she would do wonderfully with whoever ended up adopting her, and now that she’s in her new home, she is absolutely thriving. Fairy now has tons of space to run around and play, and people to cuddle with whenever she wants. She may have had a rough start to life, but somehow she knew exactly where to look for help, and now she’s living the best life thanks to her rescuers. 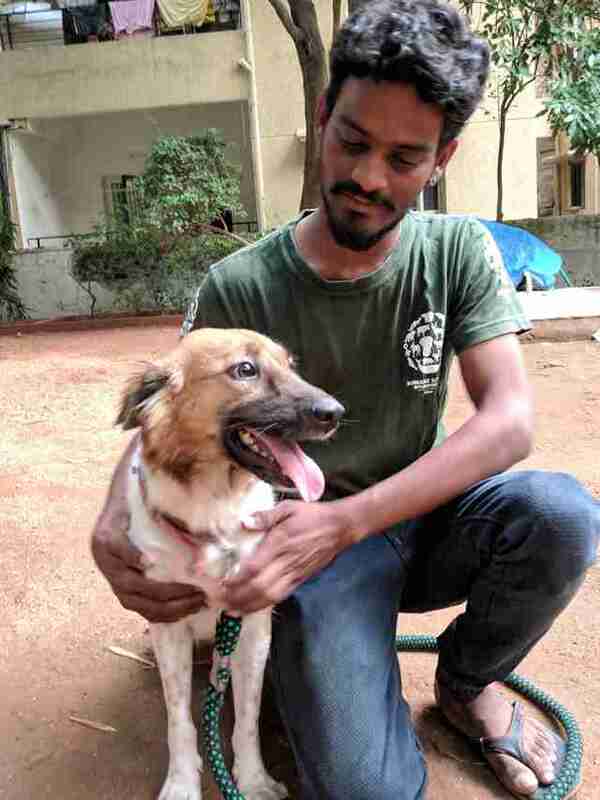 To help other animals in need, you can donate to HSI India.